Like most booksellers I always have a problem finding JUST the right size box for each occasion. Either they are too big or too small – unless I order them to my own specs – but I am too cheap to do that – but I am NOT so cheap I wouldn’t use a box to ship a book. Which by the way one should always do. Shipping a book without a box is extremely tacky. 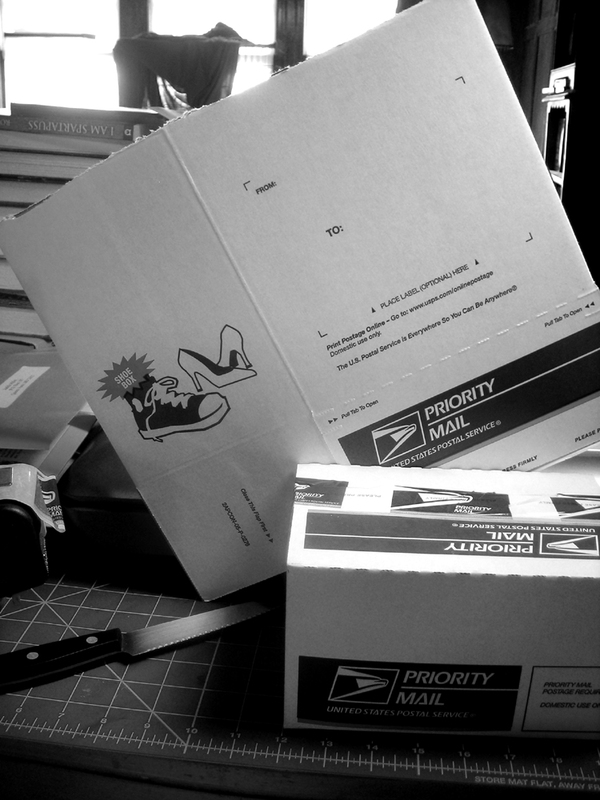 Anyway – I had a small need for a small box and the smallest things I had on hand are the relatively new USPS Priority ‘shoeboxes’. Maybe this is old news to some people but I was delighted to find that the box is already scored to cut in half – creating at least one 4″x5″x8″ box. Which fit my particular need perfectly. I am alarmed to find that there ARE people of foresight working for the USPS and why aren’t they in departments that will do us the MOST good? How sad is my life, when THIS is the most exciting thing that happened to me all day?